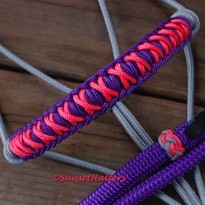 Made from 1/4" yacht braid rope, which is very soft, yet durable. 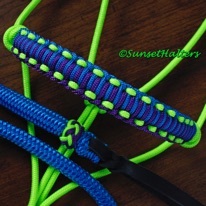 Very long wearing, as well as snag resistant. 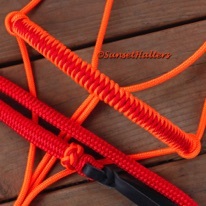 We use a fiador knot at the chin, our special knot at the throat latch, and round lover's knots throughout the halter-- including the tie off ends. 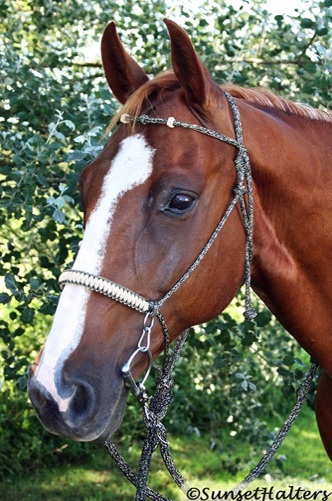 Complete with two stainless steel noseband rings with bit hangers. Great for ring bits and shanked bits with short purchases. 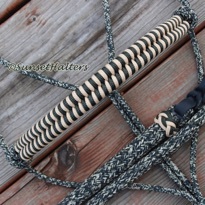 Also comes with a 1/8" patterned wrapped noseband. 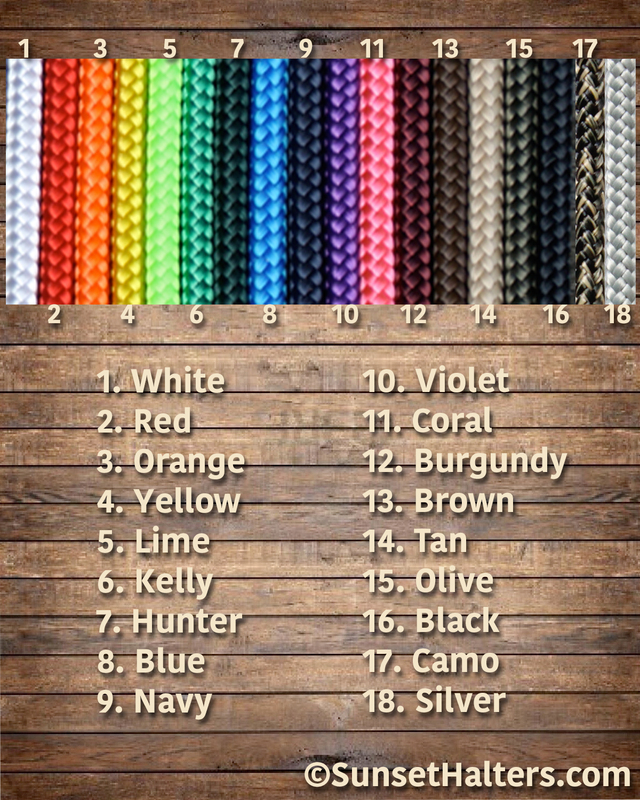 Colors are shown to your below. 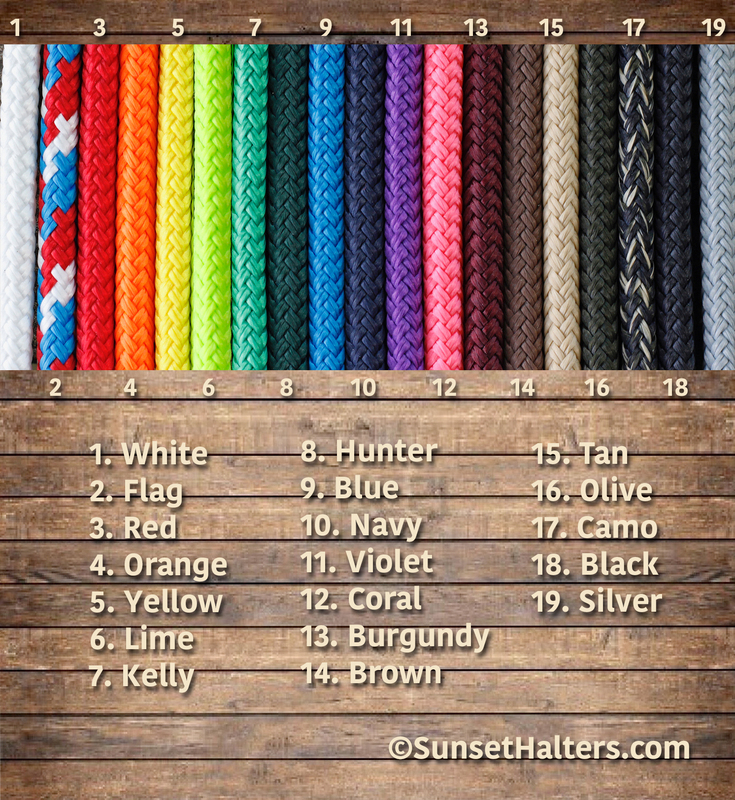 You choose pattern and one or two colors. 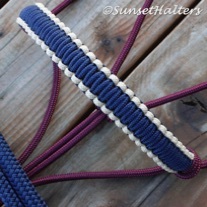 This set includes a hand spliced, sewn sliding browband, complete with decorative knots. 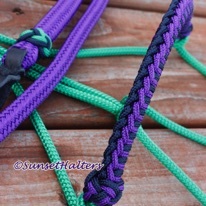 Bit not included- reins sold seperately Starting at $38.